Box Office: Ajay Devgn Starrer Shivaay Second Day Collection! Home BOLLYWOOD Box Office: Ajay Devgn Starrer Shivaay Second Day Collection! Bollywood actor Ajay Devgn’s Shivaay released on October 28 in a clash with Karan Johar’s Ae Dil Hai Mushkil. The Box Office collections of both the films are battling up and it was expected that Shivaay would give a tough competition. 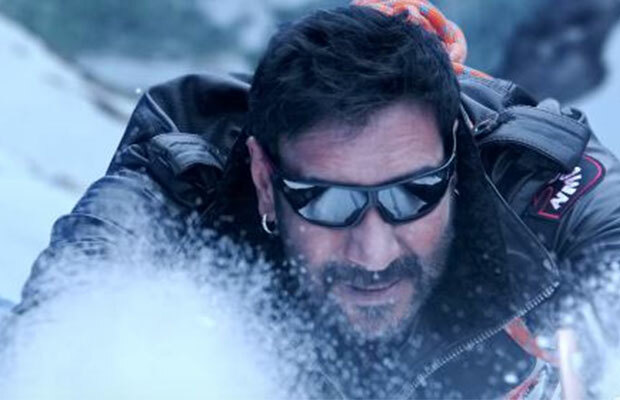 Surprisingly, Ajay Devgn’s action thriller Shivaay opened to a low response on its first day. It was expected that the collections of the film would be big, considering the tremendous response that the theatrical promo had received. Unfortunately, the film didn’t take a good start! The film collected Rs. 9.15 crore nett approx on its first day, which was quite average but it is shocking to know that the collections of the film have dropped more on Saturday. The film collected around Rs 8-8.25 crore nett on its second day, which is of course not a good sign. The total two days collection of the film reaches to Rs 17.25 crore nett approx. Going by the two days collection of the film, it seems Shivaay will find it difficult to see big numbers on the board in coming days. Shivaay had a major contribution in the single screens but even that seems to be dropping now. Now it remains to see what magic the film creates after Diwali, which means Monday will decide the faith of the film. If Monday numbers turn out to be good, the film can cover the first few days loss. It seems Karan Johar’s Ae Dil Hai Mushkil has somehow dented the collections of Shivaay! Previous articleExclusive Bigg Boss 10 Nominations: 7 Contestants Nominated With A New Twist! Next articleBox Office: Ranbir Kapoor And Anushka Sharma Starrer Ae Dil Hai Mushkil Second Day Collection!